In a world of constant innovation, big data analytics and coding has truly taken center stage as the next big trend in Information Technology. 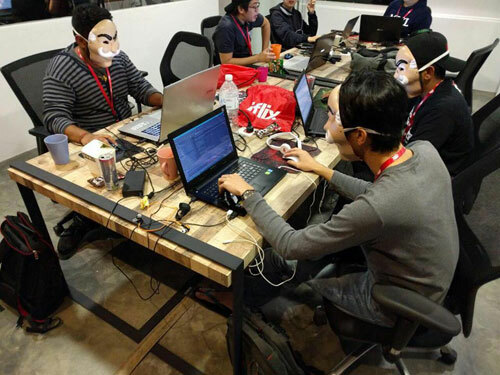 Staying true to the change, 2 teams from INTI International College Subang (INTI) recently competed in ‘Iflix_Hack: Seize Ctrl’, a 24 hour hackathon in conjunction with the season finale of Mr Robot, a famous show on the Video-on-Demand platform.The 12 team competition consisted of 7 professional teams and 5 student teams, with the INTI students being the only student team to be part of the Top 3 and also bagging the award for the Best Student Team. The Computer Science students at University of Wollongong (UOW) at INTI, Muhammad Julfikar Mahmud, David Tanugrah and Kuhandran Samundrapandiyan won Third Place in the finals while the second team, compromising of Eljae Lee Leong Jiann, Benjamin Choy and Yu Chun Xian won the Best Student Team prize. “Over the years, many software companies have adopted the need to engineer innovations. Companies like Google and Facebook now have innovations as a major part of how they work and constantly encourage their employees to come up with something new.? Involving our students in hackathons like this is our way of letting the students to practice their art of coding and implement it in a real life situation. 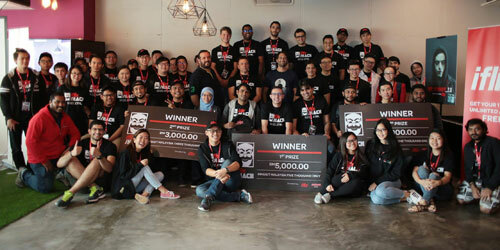 The students in the competition only had 24 hours to come together and build something for iFlix, one of the major players around for video streaming,” said Dr Jane Lim, the Dean for UOW. Hackathon – a term derived from the word “hack” and “marathon” is gaining popularity due to its format that allows teams to be involved in programming in a supervised environment. “We wanted the competition to be a learning experience for the students. Computer Science students like them need to ‘flex’ their muscles and learn new skills, not only in the classroom but also in the real world and we are proud that both the teams have come out from the competition with a prize,” Dr Jane added. With a clear goal of implementing innovation in education, events such as hackathons are key in ensuring greater student outcomes in today’s digital age. Skills such as teamwork, concentration, strategy and multitasking is then developed which then helps to build students’ soft skills – communication, collaboration, critical thinking and creativity.